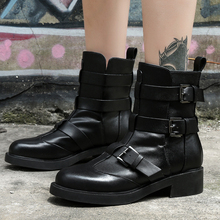 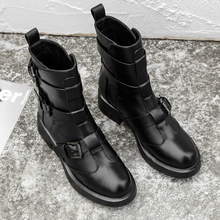 We are professional shoes seller, my team provides high-quality shoes and professional services, please rest assured purchase in my store.To maintain quality control we do personally inspect for each item prior to shipment. 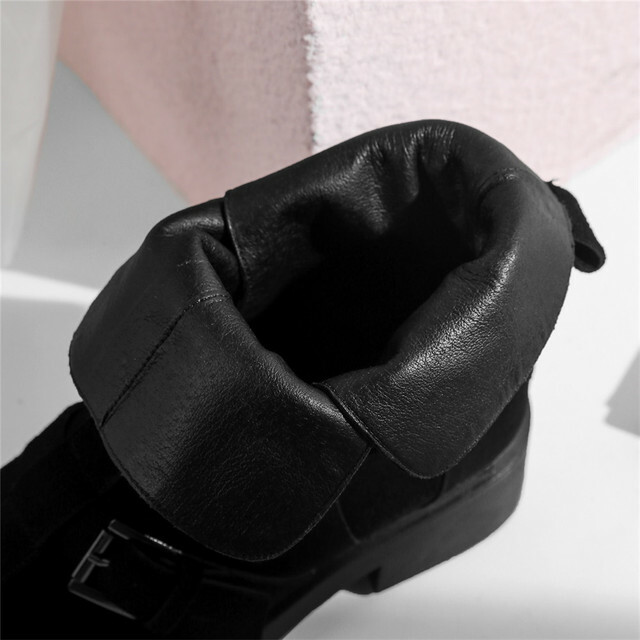 All items are 100% new and inspected.We are looking forward to forming successful business relationships with new clients around the world.If you need more help, please contact us. 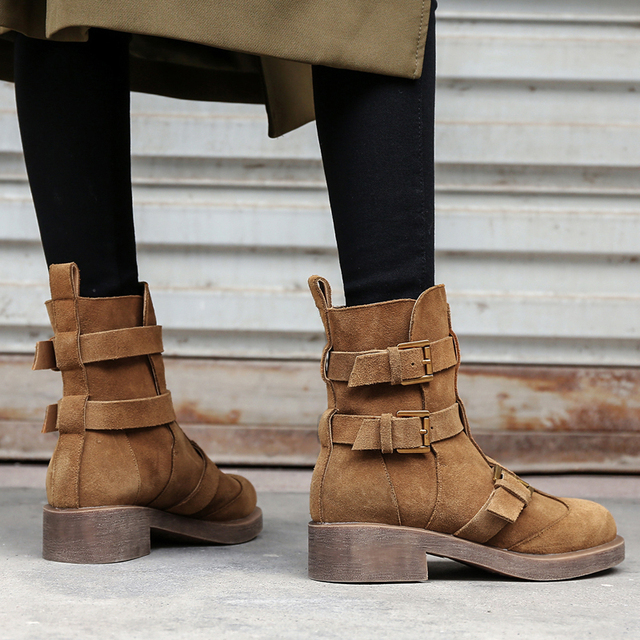 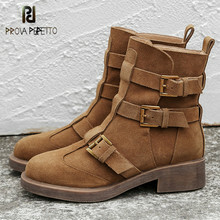 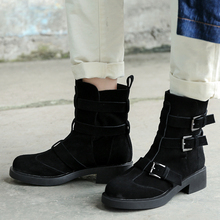 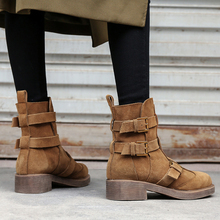 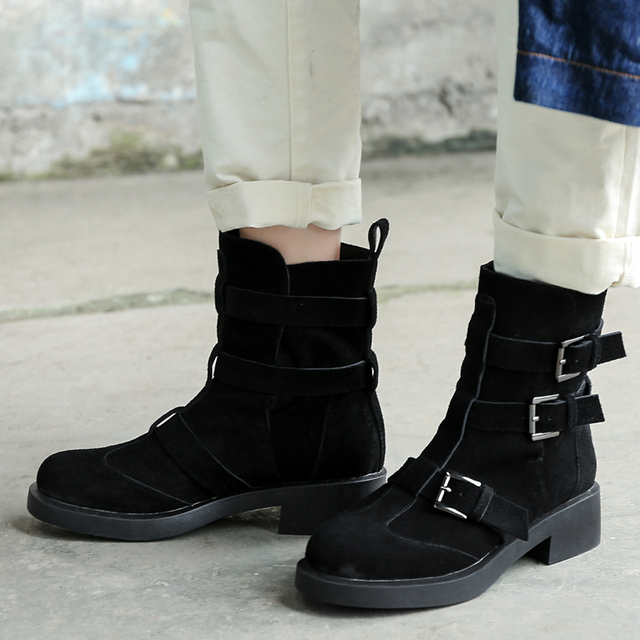 Women Hot Selling Brown Suede Leather Round Toe Buckle Flat Boots Comfortable Low Heel Ankle Boots Winter Boots.